Used coffee grounds for compost and worm food. Along with our families food waste, horse and cow manure, I have been adding a fair amount of used coffee grounds to my compost piles and red worm beds. For the past several weeks I have been stopping off at some local coffee shops for their used coffee grounds. Concerned about the acidity level of the used coffee grounds I did a little research, and found out that the acid is water soluble and mostly removed in the brewing process. What is left is close to neutral on the pH scale and a great source of Nitrogen for your plants, compost, or worms. 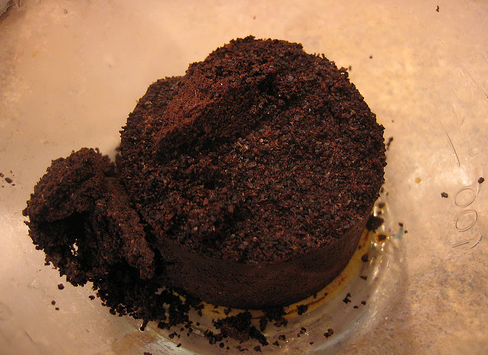 For more information on how to use coffee grounds for compost and fertilizer check out Ground to Ground. ← TexasRedWorm.com farmer avoids arrest.